I don’t think the world is anymore this innocent and smooth flowing. And that might be the reason why movies like Piku should be made. When I used to watch Amol Palekhar and sanjeev Kumar starrers back then, when hrishikesh mukherjee used to weave stories around the common me and you; I never thought how unreal. 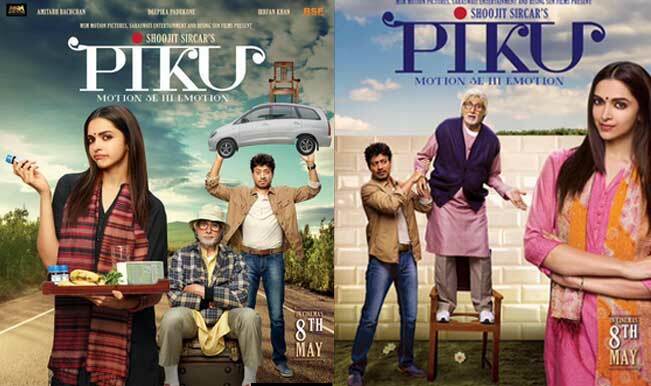 Today when I watched Piku, I don’t know why I feel unreal. It is a well made movie showing life in its simple beauty and yet I feel how unreal. The question that bothers me is have my thoughts and the world around turned so unvirtuous, corrupt and impure that simple innocence seems unreal? May be yes, the news that awaits us every day morning is not always happy, stories of curtailed freedom, violence and atrocities welcome us. Like one poet once said, the newspaper falls on the door steps like the charge sheet of yesterday. How true and at the same time how sad. I know this is not how a Piku review should be, but that is how I feel like writing because it is too good a movie to relate to the world we live in. That being said Shoojit Sircar has done a great job and yes he had an enviable cast. Amit ji was in his best, so is Deepika who came out well in that simple common girl. Irfaan does not need a complement as he would feel boring hearing it. The combination of this three is the one that stands out in the movie. It was nice to see Moushumi Chatterjee after a long time and I love watching Jishu Sengupta acting. It is a laugh ride from start to end and sometime you need to get out of reality and laugh. It cleans you up and gets you ready to face life and in the process may be bring back that innocence into our lives… who knows….